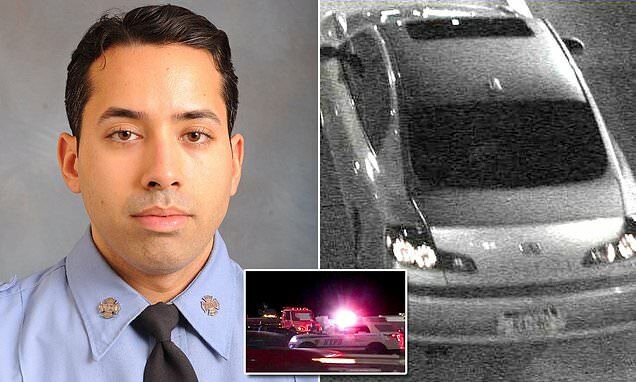 Pictured off duty NYC firefighter beaten to death in road rage attack- Faizal Coto. Faizal Coto- NYC firefighter beaten to death on Brooklyn highway in suspected road rage attack by reputed gang member. An off duty NYC firefighter has been beaten to death in a suspected road rage incident following an early morning collision on a Brooklyn highway over the weekend. Responding officers identified 33 year old man, Faizal Coto as the ‘unresponsive’ individual lying next to his damaged 2008 Ford Mustang with head trauma, circa 4.45 am Sunday morning. Coto was pronounced dead at a local hospital. The nypost reported the other driver involved in Sunday morning’s collision having fled the scene prior to officers arriving on the scene. Police said surveillance video along the Verrazano Bridge revealed Coto’s car and another vehicle traveling side-by-side before bumping into each other. It is thought one of the drivers cut the other off at some point, while their vehicles never making contact — before the two drivers pulling over to the side to hash it out. Video shows a physical altercation ensuing. According to cops, Coto was struck in the head with what appeared to be a baseball bat. The suspect fled the scene in a gray or silver 2006 Infiniti G35 with damage to the driver’s side of the vehicle. The car has the New York State license plate JEA 2402. According to sources- the Infiniti is registered to a reputed gang member. Media sources identified the suspect as a Latin Kings member with a long criminal record. Coto, a Brooklyn resident who was with the fire department for three years, was assigned to a Coney Island engine company. Coto recently posted on Facebook that he was getting back into his music and he thanked his fans for their support. Several family members and friends shared tributes on Coto’s Facebook page. Some described him as a ‘great man’ and others said ‘this earth just loss an Angel’. Police have not said whether the two men may have known each other in the suspected road rage attack that claimed Coto’s life. Of note- Coto was engaged and had seen his fiance out earlier that evening prior to making his way home. Police are asking for anyone with information regarding the incident to contact the Crime Stoppers tip line at 800-577-TIPS.